Guided mini-practices to drop you into the infinite possibilities of the moment. Perhaps you've caught a glimpse of who you are beyond thought—your spiritual nature—but now what? How do you live this as a gift and blessing for others? The answer is simple: practice. 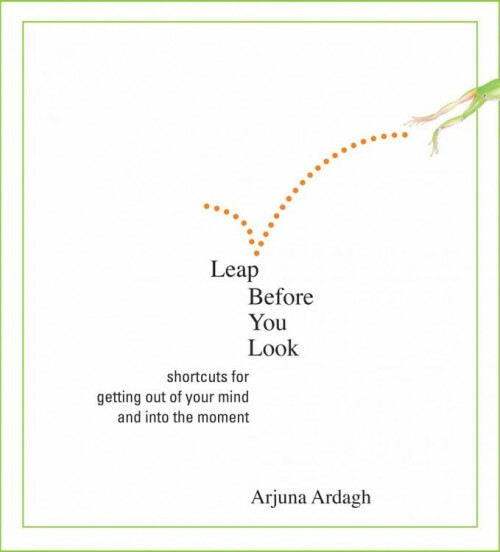 Leap Before You Look is a collection of short, guided catalysts to shift you "out of your mind" and into the infinite possibilities of the present moment. What's more, these 30 "two-minute shortcuts" will allow you to embody this realization in your daily life, from one minute to the next, wherever you may be. "These practices are not aimed at making you a better person," explains Arjuna, "but at declutching the identification with the habits of the personality." With Leap Before You Look, he offers you 30 immediate launch points to jump into "the exploration of a life of beauty, fully worth living."